Funding is required for two elements: in basic terms, you have got to purchase a property which you intend to convert to a residential use normally. You therefore need to fund the purchase and the development. Together, the purchase and the development are collectively ‘the costs’ (along with professional, solicitors and legal fees). What we refer as the costs is the purchase of the property and the development combined, and the costs are financed by a combination of equity investment and development finance. It is no more complicated than that until we make it more so, but that is the essence of funding. The first piece of good news is that development finance is plentiful in the market at the moment; in fact, they are tripping over themselves to lend to the right people. They are competing with one another for the business and therefore lack of experience is not necessarily a barrier to entry. There is a caveat: don’t try and make your first loan £5m on the back of simply reading a book, because that might be a barrier! But if you go and find a deal to convert a shop to maybe for our five units and you need £200,000, you might find that someone might lend you the requisite development finance. ‘Bank’ is a broad term these days. It is much broader than the main high street clearing banks you may have heard of like Barclays, Lloyds, HSBC and NatWest. There are masses of challenger banks out there, some of which you might never have heard of. You might have heard of Metro Bank, Shawbrook or Aldermore because they do HMO funding and have become slightly better known in property investing circles. But there lots of others that you may never have heard of, such as Zorin, Paragon, BLG, Close Brothers, LendInvest, United Trust Bank, and many, many more. There are masses and masses of this type of development funder – they are competing for business and will lend anywhere between 65% and 80% loan to cost, sometimes even 90%. If you have a relative lack of experience at this stage, you are likely to be nearer the 65% mark, which means your equity requirement as a percentage of the whole is going to be higher. This is another reason why you might want to start with smaller deals; we will come back to that later. As stated above, together the main costs are the purchase of the building and the development cost, the banks will gear their lending against the overall cost of the deal. The 80-90% loan to cost (LTC) finance offers will open up once you have done a few deals, obviously based on track record. Clearly, if you have done a few deals and haven’t performed well, that might not open up the 80% loan to cost offer, it will also affect the interest rates they will charge you. In the early days, the interest rates might be higher because you are more of a risk; that also goes for equity investment though. You might find you have to give more to equity providers at the outset, even acknowledging that although you may have learnt a lot by reading this book and you might be very excited, you are still more of a risk to people than you will be in a few years’ time when you have been doing this for a while. Let’s work an example through. Let’s say we are going to purchase a building for £500k and are going to develop it at a cost of £750k. Overall, therefore, the costs involved in this project are £1.25m. One way or another, we have got to find £1.25m. How many of you have a spare £1.25m lying around? Not many of us. The good news is you don’t need it – it’s all going to come from other sources, every penny. If you do this right you don’t need a penny of your own money. £1.25M looks like a fairly scary number at the moment to many of you, but it doesn’t need to be, and by the end of this chapter you will understand why. Let’s say you are offered 75% loan to cost on £1.25m – that’s £937,500 in development finance. A quick word on how development finance works. You don’t go along, sign the paperwork and end up with £937.5k in your bank account the next day. Once you have an agreement with the lender to lend you up to £937,500, you will usually start drawing it down against development costs on a monthly basis. 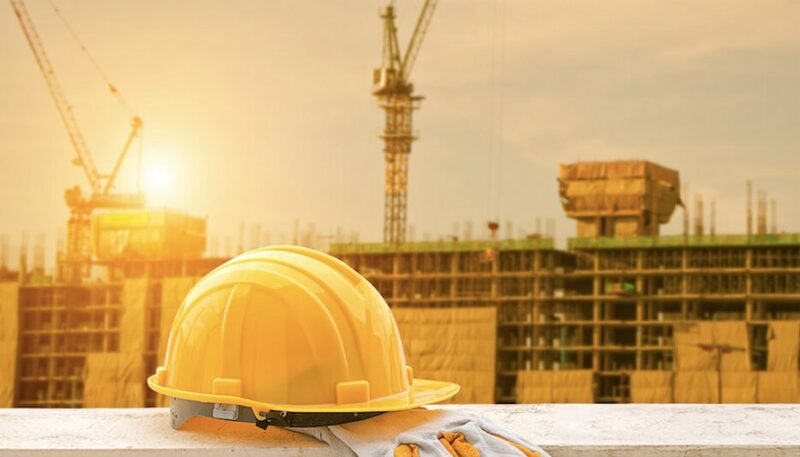 The costs get validated either by a QS, a surveyor or a project manager, who in so doing, confirms to the lender that that portion of the costs has been expended appropriately, and that funds can be released accordingly, safe in the knowledge that that portion of the works has been completed. For instance, the builder will say “I have spent £100k”, the QS will say “I can see £100k of work”, that gets sent off to the development finance bank and the development finance bank releases £100k of the £937,500. This process will be repeated until the development is finished. They simply release the money as the work is done and as you need to pay the builder. Given that the development finance covers £937,500k against £1.25m costs, that leaves you with an equity investment required for £312,500. 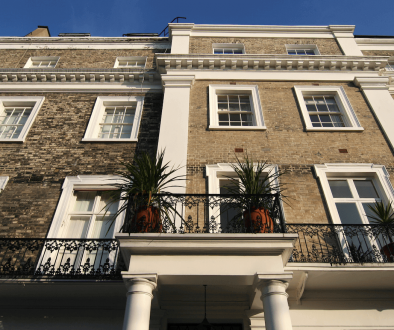 You may have thought it was going to cost YOU £1.25m, even at a relatively low loan to cost, but this means that your equity requirement is not very high. With project costs of £1.25m, which probably means that that project has a £1.6m GDV, you might have thought, “wow, that is way out of my reach”, but actually the only equity you have got to find is £312,500. You may know people with that amount of money, and we guarantee that when you go to networking meetings, there will that kind of money ‘in the room’. The property development finance companies have metrics which they will consistently use. We have talked about loan to costs (LTC) and that they will have a maximum amount of percentage of LTC that they will lend to you based on your experience along with the quality and location of the deal. There is a rule of thumb regarding LTC that is quite helpful, although it is only a rule of thumb. Generally, finance companies will lend up to 100% of the development costs and up to 50% of the purchase costs, and that usually comes out at around 75 to 80% LTC overall. We have established that when we see a building for £500k, we don’t need £500k to £600k of equity investment, but instead around £350k to cover the cost of the purchase. If 80% is their maximum LTC, this is the over-riding measure of what they will lend. So if, for example, you could buy a building and 50% of the purchase price plus the development costs was to exceed 80% LTC, then they would usually lend less against the purchase costs. Accordingly, whilst 50% of the purchase price and 100% of the development costs is a helpful rule of thumb, it is just that and the banks lending will be determined by their LTC metric whilst considering GDV and other factors. Development finance lending rates are typically between 6% and 9% per annum (at time of writing) and again, when you are starting out, it will be at the more expensive end because you are a bigger risk. As long as you analyse the costs in enough detail, then you will know up front whether the scheme can afford the cost of funds. As mentioned above funders will often consider other metrics such as loan to value (LTV) which is more accurately described as loan to GDV (LTGDV), so you might see that as well, but whether they measure it using LTGDV, LTV or LTC, their overall loan to any development is likely to be the same. Importantly, you will only get access to property development finance when you have a planning consent that you are going to implement. 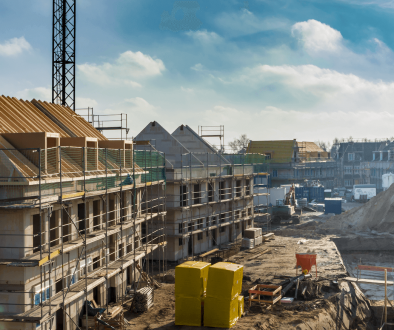 Therefore, if you buy a building before you have got prior approval planning permission, you are very unlikely to secure development funding from an institution. What might happen is that you find a building that has got planning permission already granted, but it may not be a particularly good scheme which doesn’t maximise the opportunity. Or it may even have an existing prior approval, but you consider there to be an option to add more value, maybe by intensifying the scheme. 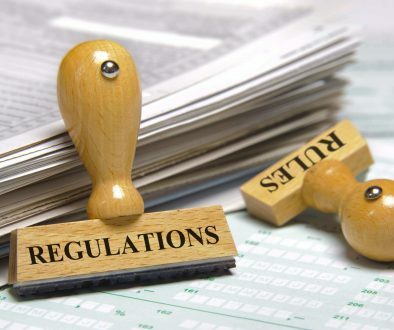 What currently seems to happen in the property market is that vendors have heard now about prior approval, so they think they will increase the value of their building by submitting an application to obtain it. The problem (for them) is many don’t know how to sweat the asset or how to maximise the value of the development. They don’t know what they don’t know, and nor do many architects! They will phone up their mate or an architect they might have used in the past who also knows nothing about prior approval, and they create nice big units that meet all the national minimum space requirements and they go to planning and get the scheme approved. The issue is that because they have rarely maximised the value, the consent acquired is about as much use as a chocolate fireguard.